Our greatest reward in doing Windshield Replacement and Windshield Repair Services in Arroyo Grande is to see our clients fully satisfied with the result. We are continuously improving the quality of our auto glass repair services in Arroyo Grande in order to make our customers even more satisfied with the final result. Replacing a windshield doesn’t have to be a daunting prospect! Apex makes it easy! When the windshield or car window is too cracked, or has big chips that can’t be repaired, we are able to replace the majority of windshields on site, very fast. Just give us a call and we will set up an appointment at either your home or at your office, and one of our trained Technicians will meet with you to replace the windshield. Do you have ADAS (Advanced Driver’s Assistance Systems) on your vehicle? Considering replacement because you think your glass crack is too big to repair? You may need to reconsider! Follow our guidelines and take a closer look at the crack or chip. Is it no bigger than the size of a quarter and outside of the close visual range of the driver? Then you’re lucky! The chip can most likely be repaired without having to pay for a full windshield replacement. 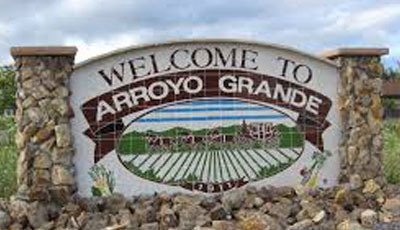 Repairing or replacing Arroyo Grande auto windows in no time! Our specialized staff works extremely fast when repairing or replacing windows and windshields on almost any type of vehicle. Usually, repairing the windshield represents a more inexpensive process than fully replacing it, and can be done in as little as 15 minutes! Even if you do need a full replacement we can get the job completed in record time. How can you know if your windshield needs to be replaced or if it can get repaired? Apex Auto Glass will provide you with a completely FREE windshield and window assessment for your vehicle. One of our Technicians will meet with you and analyze the damage prior to giving you the verdict: the windshield can or can’t be saved. 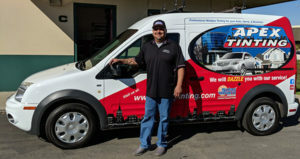 You should also bookmark this page so it comes in handy when you need Windshield Replacement or Repair in Arroyo Grande 93420, 93421.